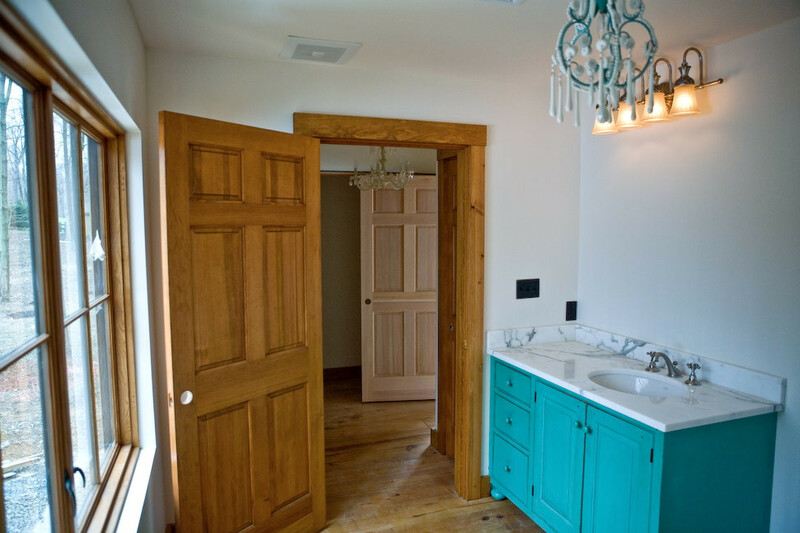 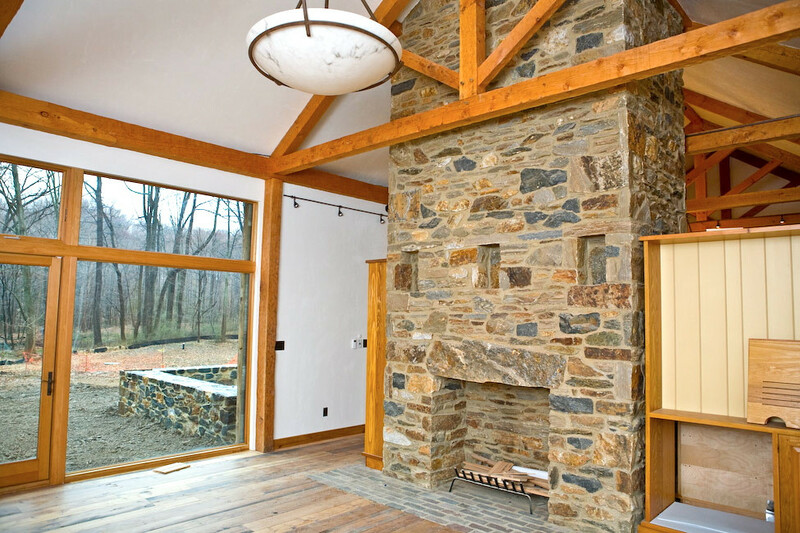 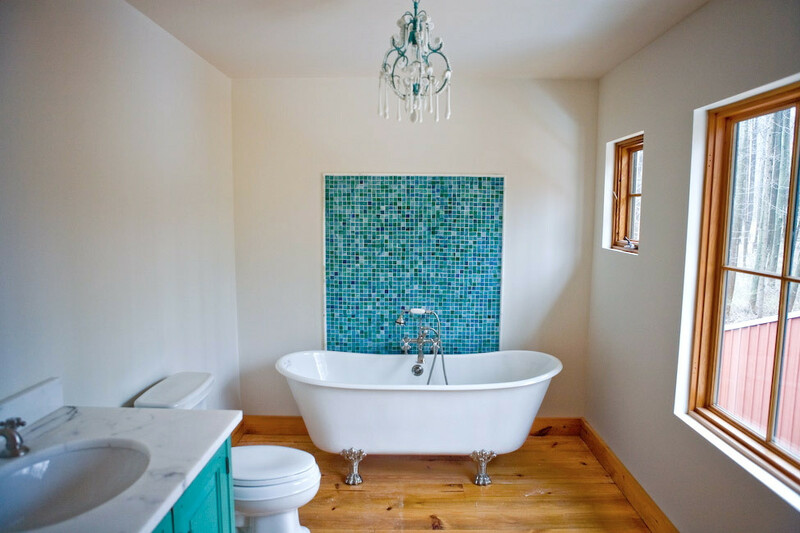 The first LEED for Homes Silver Certified house in Chester County, Pa., was inspired by regional barns and the surrounding meadow. 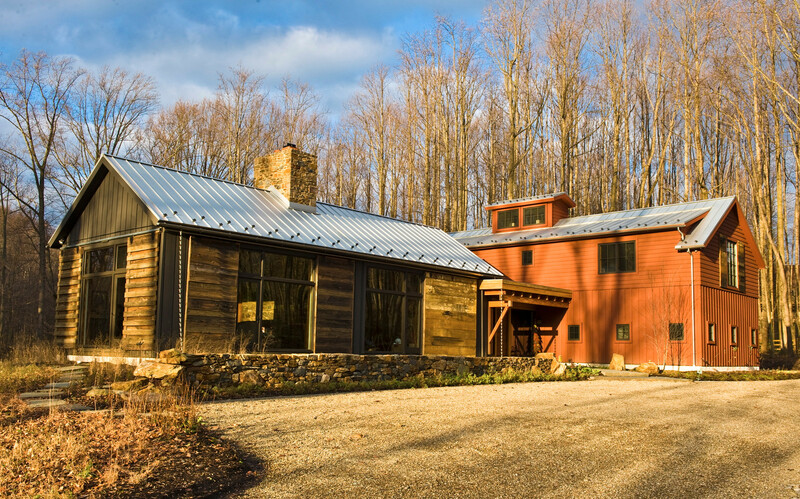 Designed to be close to net zero, the architecture features cisterns, solar panels, geothermal heating and cooling, and passive ventilation. 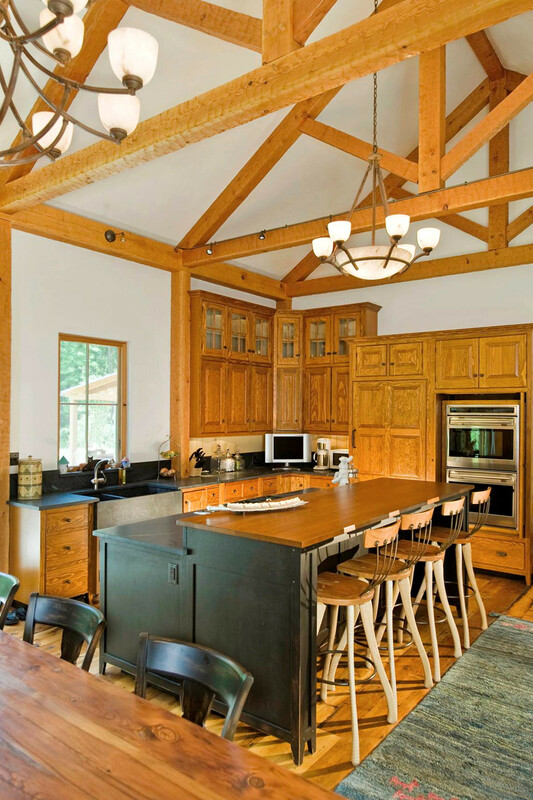 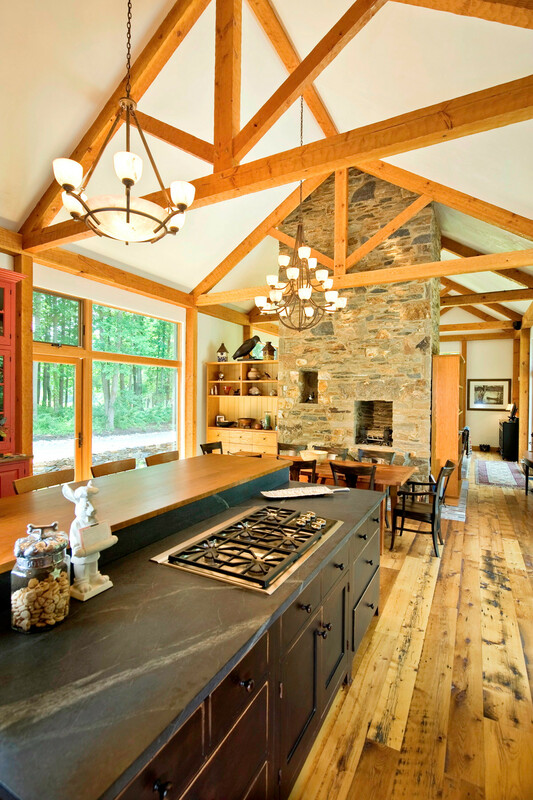 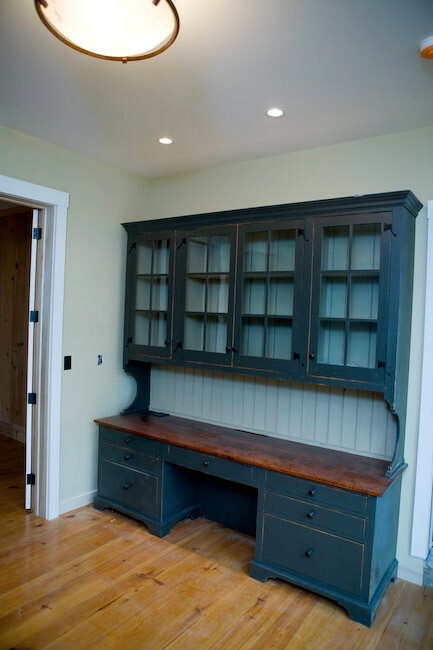 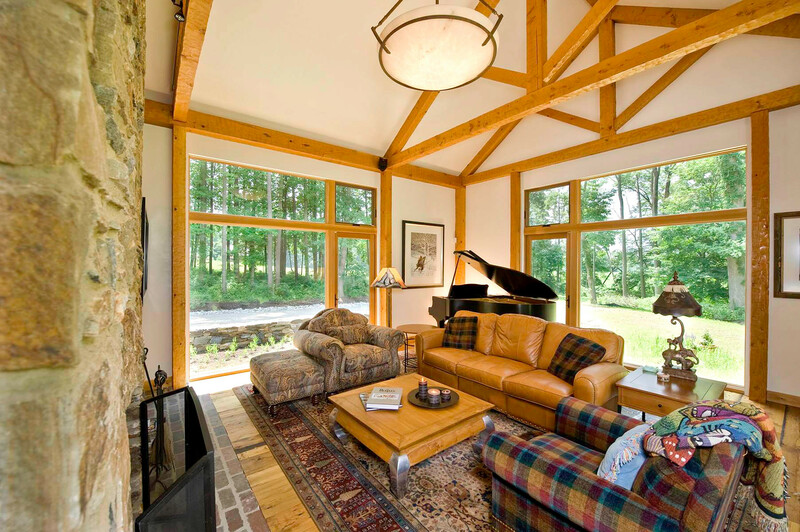 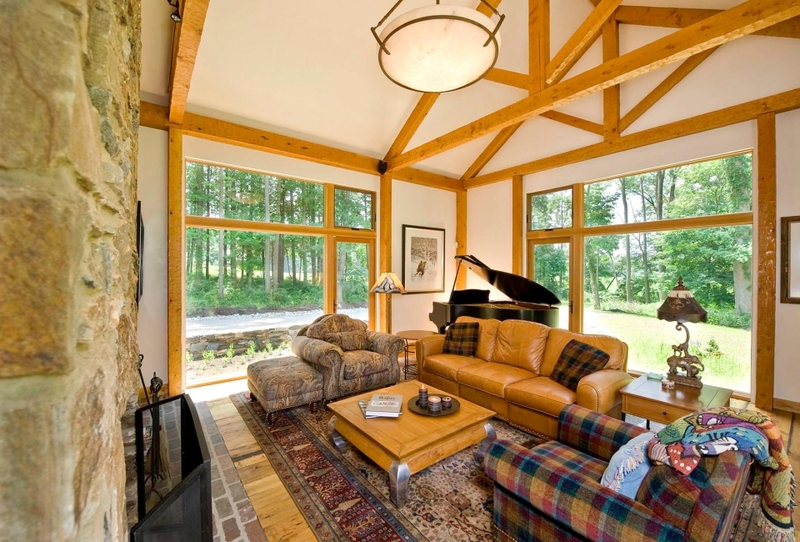 Hugh Lofting was responsible for the 4,500-square-foot home’s construction management / general contracting, including its timber frame structure that forms the roof system for the living room and kitchen. 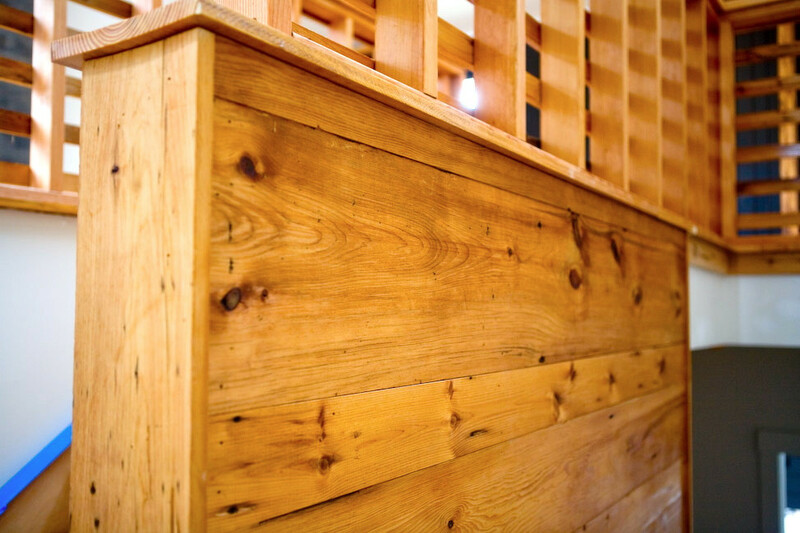 In order to achieve a superinsulated building envelope, the house features hybrid construction of Structural Insulated Panels (SIPs) and Douglas Fir timber framing. 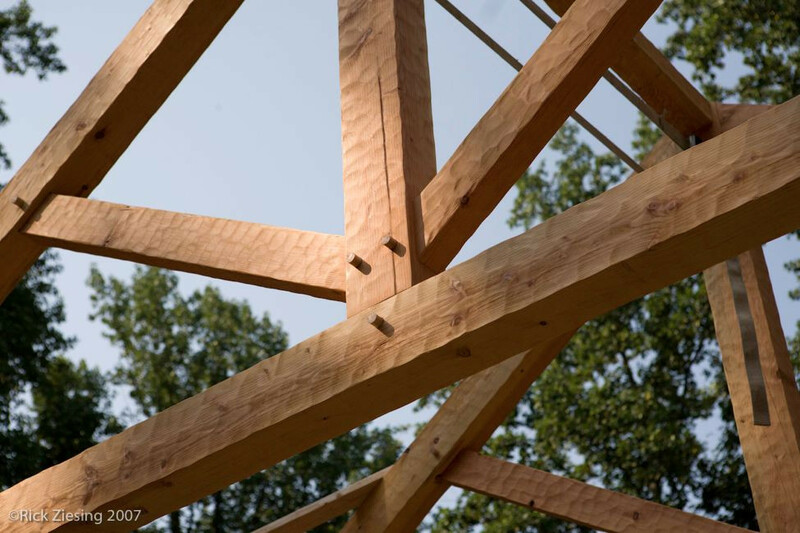 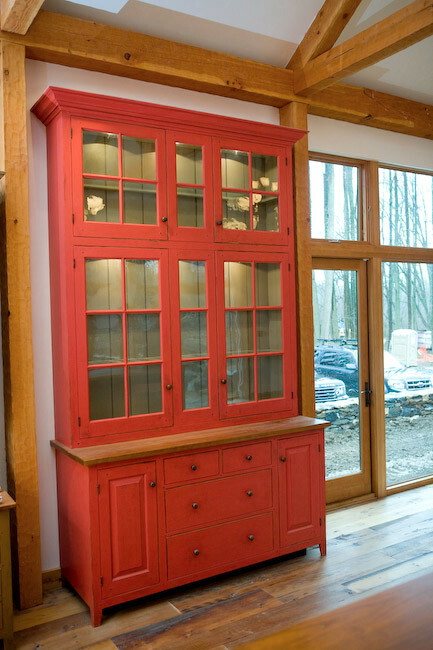 Wood was salvaged from the region, including red oak reclaimed from the site.